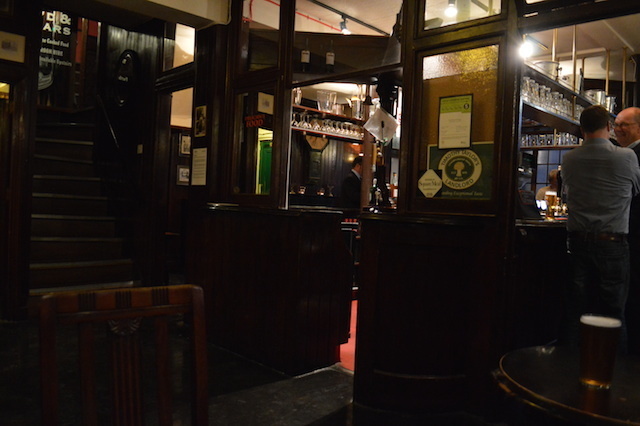 The Smithfield-Farringdon area has no shortage of decent pubs. 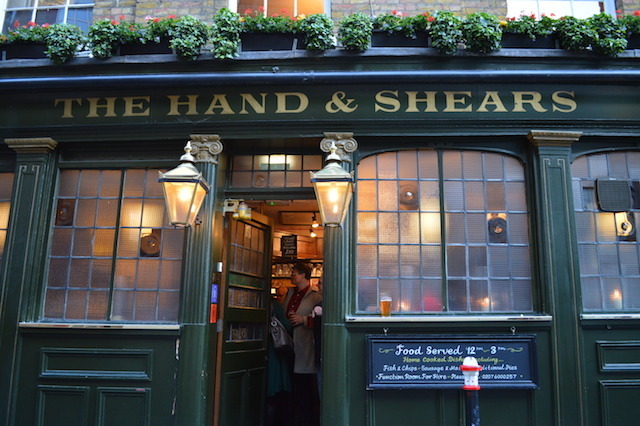 Plenty are flashier, or have a more extensive range of ales, but none has quite the same homeliness as the Hand and Shears. Tucked down a quiet back street, it's hard to believe you're in the Square Mile, the world's pre-eminent financial district, or just metres from the country's largest meat market and a major Crossrail site. This could be a sleepy Yorkshire town. 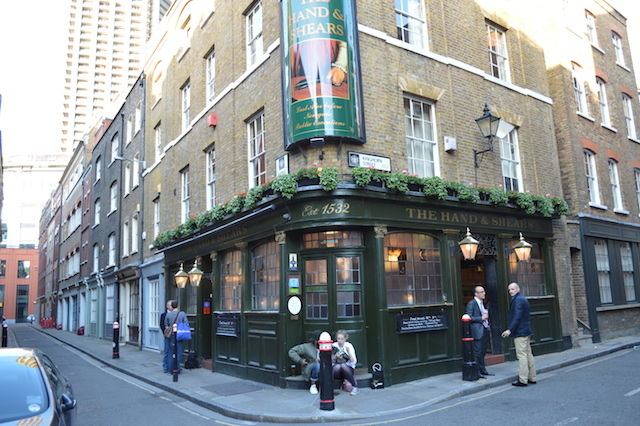 The pub's name relates to the cloth workers who would gather here ahead of the ancient Bartholomew Fiar, and some kind of pub has stood here since the Middle Ages. It was once said that Charles II dined in the basement, though the legend seems to have fallen out of currency. Another legend says that the tradition of cutting a ribbon to declare an opening started here, with the Lord Mayor inaugurating the cloth fair. 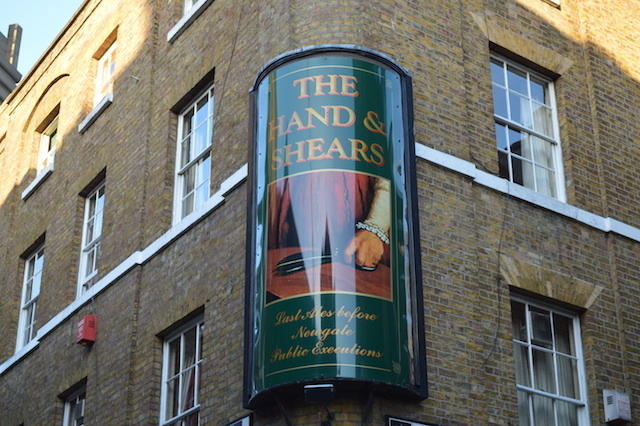 Yet another story, summarised on the outside of the pub, attributes the Hand and Shears as the last stop for revellers off to watch a hanging at Newgate. Nowadays, we'd recommend it ahead of a jaunt to the Barbican Arts Centre or Museum of London. The traditional interior layout sees an island bar with four separate drinking areas ranged around. Four hearty ales are on draught, including old favourites Theakstons and Landlord. Best thing about this place, though, is the gaffer Tony, whose chirpy manner and ready conversation elevate an already excellent pub.